Lyrics printed on container insert; credits printed on container. I wish the wars were all over / Tim Eriksen. Performed by Joan Baez, vocals and acoustic guitar ; with accompanying musicians. Baez performs the modern folk songs of contemporary musicians, such as Tom Waits, Josh Ritter, Mary Chapin Carpenter and Anohni. 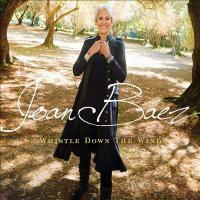 Clear As Ever submitted by Meginator on July 29, 2018, 10:09pm Joan Baez is an institution in folk music, and this album is as true to her spirit as any other, even though the focus here is on other writers' songs. Her voice is as clear as ever and the songs are carefully chosen to display her talents, relying on simple instrumentation that allows her vocals to break through. Description: 1 audio disc (38 min., 58 sec.) : CD audio, stereo ; 4 3/4 in.